How can I recover my user's password? HOME > SETUP AREA > How can I recover my user's password? 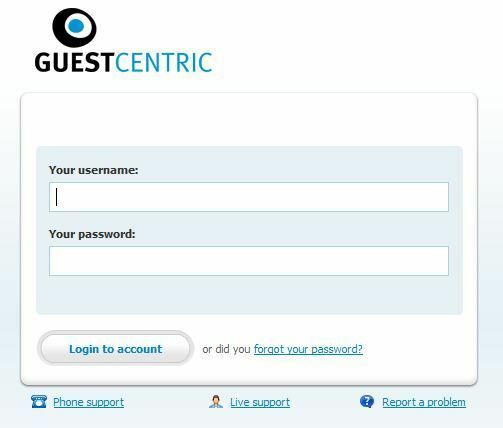 STEP 1: First you need to go to the Guestcentric login page. STEP 2: Select below the option "forgot your password?". STEP 3: On the next screen, insert your user's email and click on GET NEW PASSWORD button. 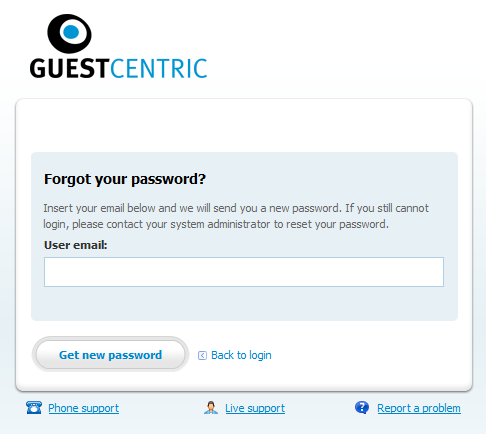 Guestcentric does not hold passwords, therefore your old password will not be recovered. Instead, a new temporary password will now be sent to this email account. On your first login after receiving the new temporary password, you will be asked to define your new personal password.